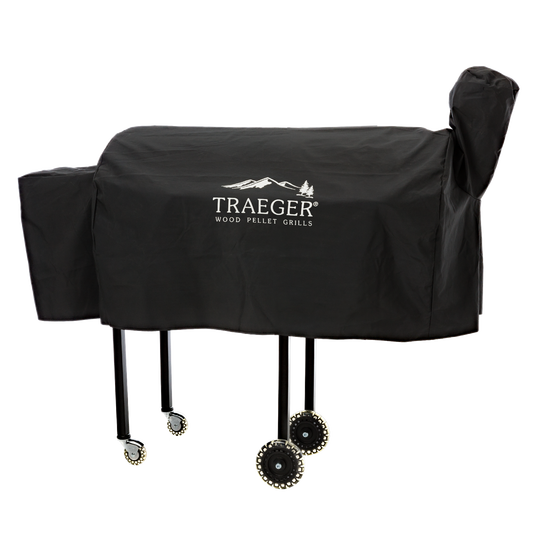 Save your Lil’ Tex and Cold Smoker from the elements with a custom Traeger grill cover. Through the best of times and worst of weathers, the extra tough material keeps your Lil’ Tex and Cold Smoker dry and protected. Rest easy knowing that your Traeger is covered with the best grill protection possible in all types of weather conditions. Specially sized for Lil’ Tex grills with the Cold Smoker mounted attachment, this water resistant cover fits like a glove and protects like a shield.